Mod Tools for Conquest: Frontier Wars, Selection. ADB - This is the data base editor for conquest. This will allow you to change out art as well as change game balance. The user interface is also edited inside ADB. 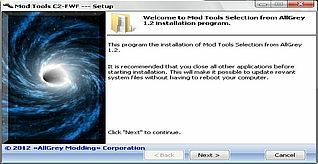 Unpack - Unpack.exe is the tool used to decompile our data files. ObjView - This will let you view the .3db and .cmp files. These files are our custom file format for the meshes. Hit F1 while it is running for a rundown of options. ParticleEditor - This will let you edit the .pte files. Makeanim - This will let you make .anm files. These files are used to create animated sprites in conquest. I know it supports the .tga format for input. ShpEd - This will let you edit the .shp files. 3dbexp.dle - This plug-in requires 3D Studio MAX 6 to export the art. UTFEditor_1.4 - The editor *.cmp, *.3db, *.mat, *.anm*, *.pte and other files packed in UTF a format. X-Rotate Vertical, Y-Rotate Horizonta, Z-Rotate Circular - Programs for a rotate of models (Accessory programs for UTFEditor). Important ! - Copy all contents in a root folder of game. Conquest 2: Frontier Wars Forever - Mod Tools 1.2 has not been tagged yet.